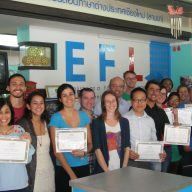 It’s been almost 5 years since I did my TEFL course with SEE TEFL in Chiang Mai, Thailand. Wow! I can’t really believe it. Time goes fast. I still think that the month I spent training to become a teacher was one of the best times in my life. I really got to learn a lot and I met wonderful, amazing people, who somehow stayed in my life to this day. I can say that Bob and Corona are two of them. We have never been very close, but I’ve always thought highly of them. They are both dedicated teachers, who always go an extra mile for their students. 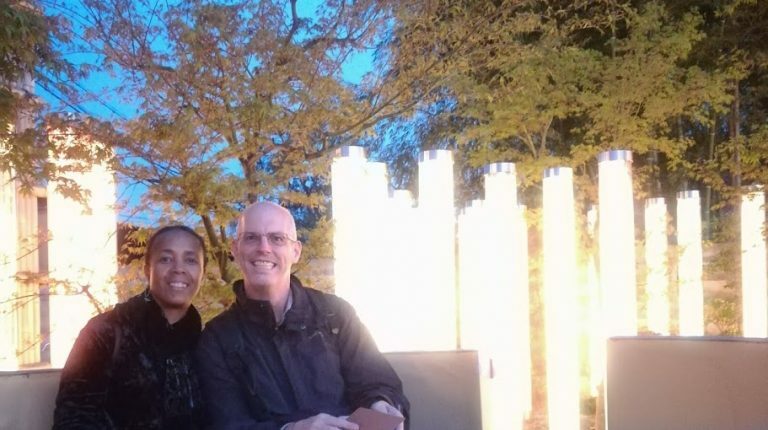 That’s why I asked Bob to teach some of my students from time to time and while I met them for a coffee to discuss working together I also decided to ask them a couple of questions about living in Thailand, teaching in Thai schools and their opinion about SEE TEFL. Thank you for agreeing to speak to me. I am sure my readers will be very interested in your story. Can you first tell me what you did before you came to Thailand? Bob: I worked for a small non for profit company in New York City. I worked there for 20 years. I did campaigns and once that was over I had to do some other things. We had to raise money in order to run the company. I am a computer programmer, so I also ran computer systems and some computer management. I was an office manager. I basically did everything. I enjoyed it, but I didn’t have a life. It was 24/7. Sometimes I could make my own schedule, but then I had meetings on Sundays. So, I decided to change everything and decided to become a teacher. I didn’t want to teach in America because I would need to get a master’s degree in education, and a license. Corona: I was a personal chef. I helped people to get healthy, or stay healthy. I went to their homes and cooked for them anywhere from 3 meals to a week’s worth of meals. Are you both from New York? Bob: I was born and raised in Cleveland, Ohio. I spent 4 years in the air force and then I moved to New York. Corona: I am from St. Lucia. I lived in New York for 31 years. Bob: Online, on Craigslist. 12 years ago. Bob: It was a big process. Corona asked me…. Bob: And I said absolutely not! I had a lot invested in my organization, but New York beat me down a little bit. After twenty odd years of taking public transport and working long hours, you start to think that there has to be something else out there and a higher quality of life. New York was getting very expensive, and living spaces were getting smaller. So, Corona started to watch this show called ‘House Hunters International’. Corona: Yes, this was one of those shows where people moved abroad and found properties. I always wanted to do something like that, possibly live somewhere else. When I was younger I imagined being from somewhere else, somewhere exotic. When I started watching the show I thought ‘this is possible. We could do that’. At first, Bob was totally against it – ‘I can’t tell people I’m leaving the US’. We watched an episode about someone moving to Thailand, to be exact, to Chiang Mai. Bob: Yeah, after we moved to Chiang Mai we met the guy we had seen on TV. Corona: It was after 6 or 7 months after we came here. We were walking down the street and passed this guy, who looked exactly like the guy we had seen on that show. Bob: He literally lived next door to us! That sounds like destiny! So, you saw the show and decided to move to Thailand? Corona: We watched the show from then on and once Bob warmed up to the idea of moving we literally watched everything about Thailand. We then found this guy J.C., who has a show on YouTube called Retire Cheap Asia, so we signed up with him for 6 months. He gives you a lot of information about living in Thailand. We did a lot of research. At that time I was enjoying my work, but it looked like I had to work more and more to achieve the lifestyle that I wanted and when I got it I wouldn’t have the energy to enjoy it. So, I started thinking about that. It didn’t really look very good. I wanted to have more free time and enjoy life. Then Robert said ‘what about if we teach?’ I thought it was a good idea. We were both native speakers, so we had something to offer. We thought about Australia because it would be very easy to move there. They speak English and the lifestyle is so laid back. On the other hand, you still had to work very hard to have a decent lifestyle there. So, we started looking at other countries. The weather was key for me because I was raised in St Lucia and I couldn’t stand winters anymore. New York can be very cold and I missed the tropical climate. Bob: I took up tennis and wanted to live in a country, where I could play it outside all year round. How did the process of moving go? Bob: We rented an apartment in New York. Corona: We had a lot of things. We did a sale, gave away quite a lot. This was kind of interesting about the whole move. When you do something like that, you can see how much stuff you accumulated during the years and how much stuff you actually don’t need. It was so much stuff! In a way it was easy for me to give things away, but some things were very hard. I had some cook books of my mum’s and at first I really thought I wouldn’t be able to get rid of them. I wanted to take them with me. Then I decided to give them away to my friends and family. I told them they had sentimental value to me. At least I knew they were going into the right hands. But, I kept a few of them and brought them with me. I just couldn’t part with them. Since we’ve been here, I gave one away. I met this Thai woman. I used to teach her son and she bakes. We became friends and one day I just gave one of the books to her. I really wanted her to have it. Bob: No, not really. It wasn’t for me. But I learned a couple of things. I took too much clothes. We found a shipping company in NYC. They came and we shipped some things that arrived 1.5-2 months after we came to Chiang Mai. We had some art, a computer, some kitchen things. I don’t think it was all necessary to send this here. We had 3 big bags of clothes, which wasn’t that bad. At least I had some teaching clothes and didn’t have to buy them here. It’s pretty hard to find clothes my size in Asia. What were your first impressions of Thailand? Corona: My first impressions…I think….I think I felt very relaxed when we got here. It was December and it was a bit cold. The nights were really cold. I couldn’t handle the cold weather, but we had about 3 weeks of vacation to get used to everything. We walked a lot, tried the food. It was easy for me to adjust to being here because it’s tropical and even though it’s a big city, it still has this island feeling. Bob: It was a shock in some ways, little things most of the time. The first time I did the laundry. We stayed at this Airbnb and there was a small laundromat and they had one drier. I had a whole pile of clothes and was wondering how was I going to dry all that. One drier! I completely forgot it was a tropical place and you really didn’t need a drier. Were you annoyed by things like that? Bob: Well, I was a little annoyed with the laundry. But, then those were things that surprised me and I had to get used to them. It was kinda hard to get used to the fact that not many people speak English here. We’ve been to Europe and it was easy to communicate. Here, it’s not like that and you need to speak a bit slower for people to understand you. Chiang Mai is very friendly, it’s a really nice place. Everyone is so nice here. Then you did the course with SEE TEFL. What do you think about it? Was it worth doing? Bob: Yeah, definitely helpful, especially when it comes to explaining the cultural differences. You saw a variety of teachers, like backpackers and retirees. Then you learn how to relate to students and to explain things to them using limited amount of English. 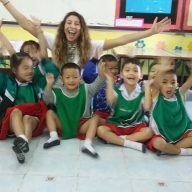 SEE TEFL has connections with schools around Chiang Mai, which was helpful with finding a job. Corona: The job searching was very frustrating at the beginning. We actively looked for a job every day, straight after we got our certificates. Bob was getting really, really frustrated. He was saying that we were not going to find a job. I was saying that we had to be positive and had to keep going. Bob: I got a month of summer camp up in Chiang Rai. 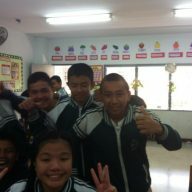 I taught vocational students. Then I had an interview at a school in Sanpatong, 40 mins drive from Chiang Mai. I was offered the job, but then we had an offer of working together. It was through SEE TEFL and we didn’t want to move to Sanpatong as this was too far from the city. We also wanted to work together. It took us a month to find a job. 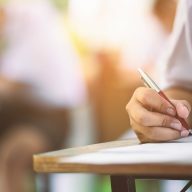 How was the teaching at the beginning? Corona: I think for me it was when the culture shock kicked in. I was used to the American education and a certain way things are done. It was really a shock to see how things are done here in terms of …. I don’t know….it’s just the focus is different back home. The teacher is in the classroom and the students are just almost glued and have to behave. They pay attention, they study and realise how important education is. At least, you’re pretending that you’re paying attention until the teacher walks out of the class. In a Thai classroom that’s different and it was hard for me to adapt to the Thai students’ attention span. They might focus for 2 minutes and then they get bored and want to do something else. That’s hard for the teacher because some things are boring and you cannot do much about it. Students need to focus and that’s what it is. Back home it wouldn’t be such a problem, but here…you really need to figure out how to make things fun. Bob: For me it was really challenging. I taught science to P1-P6 (primary school) students. I had 6 different text books for each level and then I had maths for 2 other grades and I had one English for P2. So, roughly 11-12 lessons I had to come up with every week. Things changed all the time and classes got cancelled and moved rooms without anyone telling me. Then, there were mid terms and final exams that I also had to prepare. It was a lot of work! I also didn’t see the students that often. Each class I taught 1-2 hours a week and it was hard to keep the relationship going. Corona: We were there for a year and then we changed the job. We told SEE TEFL that we weren’t interested in keeping the jobs. There was a position free at Lanna Vocational College. Bob: And I was thinking of changing to a part time job, but then there was another position at Lanna and I got the job. So, again we were teaching at the same school! Corona: Everything turned out well. I cannot drive a motorbike. Bob always drives, so it worked out really well that we taught at the same school. We were at Lanna for 2 years. It was much better than the first school. Bob: It was easier to have more mature students. The lessons were conversation classes and activity based and I didn’t have to do so much prep. You didn’t have to go to all these events that after a while became boring. Some of them are interesting. We didn’t have to do that at all at Lanna. That helped a lot and allowed us to prepare for the lessons. And what did you decide after this? Corona: When I was at Lanna I started doing some online lessons. I enjoyed it because it created a good balance. Because when I first started teaching at schools, kids didn’t speak any English. Sometimes I asked ‘how are you?’ and they replied ‘how are you?’ They studied English for 10-12 years and couldn’t say anything! It was very hard for me to wrap my head around that. I started thinking ‘what went wrong? What can be done?’ To me it was like the students were cheated in some way. They were studying so long and still couldn’t say anything. 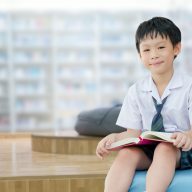 Teaching online to Chinese students showed me that it is possible to learn English if you really want to. They are very hungry to learn, very eager. It created a nice balance. I finally had students I could have a conversation with! They understand the importance of learning English. Then I did observed teaching practices with SEE TEFL. So, I graded new teachers based on their teaching practices. I did that while I was still at Lanna and teaching online. I liked observing because I really had learned a lot during my years of teaching. I could give them feedback that they really appreciated. Now I teach online and do the observed teaching practices. I sometimes miss being in front of the class. Students taught me how to have fun and drop all my attachments and enjoy life. Thais really can do that. They are in the moment. They are not embarrassed and that’s a big lesson for me. So, now you’re teaching online? Bob: Yes. I am also working for SEE TEFL. I do grammar inputs – explaining and reviewing grammar with new teachers. I am enjoying it. It’s a challenge, but it’s fun, too. Do you want to go back to the States? Bob: I went last year when my father passed away. We went back twice. We would like to stay here as long as we can. In Chiang Mai there are so many things to do. You can go somewhere new every year. You can enjoy the city, or go outside of it for a quiet weekend. You can enjoy food, live music, and markets. It’s amazing. Corona: We also play tennis and I do a lot of reading about healthy living. I also like writing and photography. Bob: We do a lot of travelling. We just came back from Japan. Went there for 3 weeks and would love to go back. Bob: The multiple checkpoints around the city and getting stopped more than once in a day can be annoying. Corona: Double pricing is annoying, when you get charged more than the Thais.